A Guide to commercial Waterwise landscape and irrigation practices. The Guide to Water Efficient Landscape & Irrigation for Non Residential Facilities was developed by JBA for the Water Corporation to assist existing commercial centres (including shopping centres, educational and medical centres) to better understand water efficient irrigation and management practices. It is designed to encourage water efficiency in existing landscapes and future landscape upgrades, through simple, cost effective strategies which will also improve the overall amenity of landscape areas. 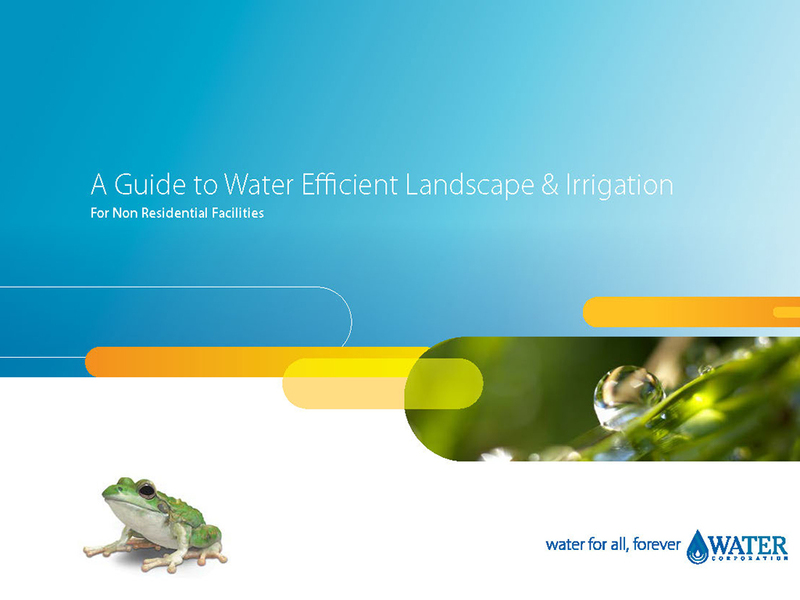 The Water Corporation Water Efficient Landscape & Irrigation for Non Residential Facilities guidelines can be found on JBA’s Resources Page.